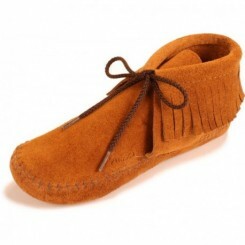 The combination of buffalo and elk hides used in the construction of these moccasins most likely makes them the most comfortable footwear you'll ever own - they feel like they're broken in the first time you put them on. 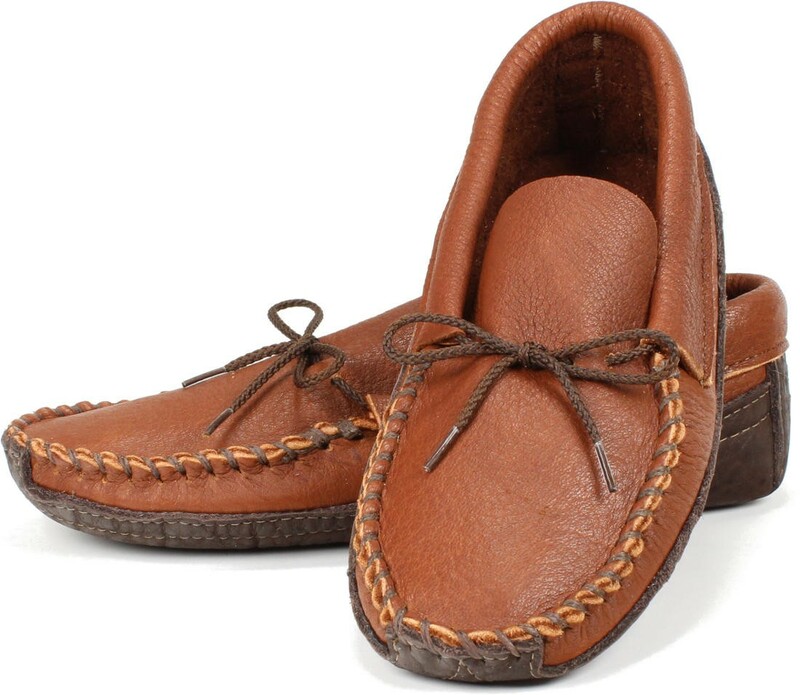 The traditional soft sole construction offers a barefoot feel; in fact our customers have described the way they feel as a better version of barefoot. 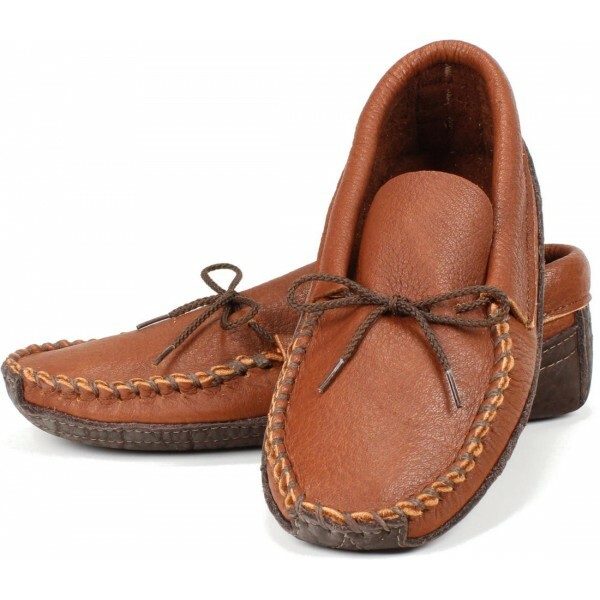 The buffalo used in the sole offers ruggedness and durability even with outdoor use; the elk used for the upper is the softest and most supple of any of the leathers we carry. 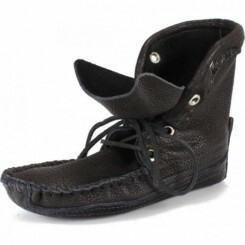 It's truly luxurious. 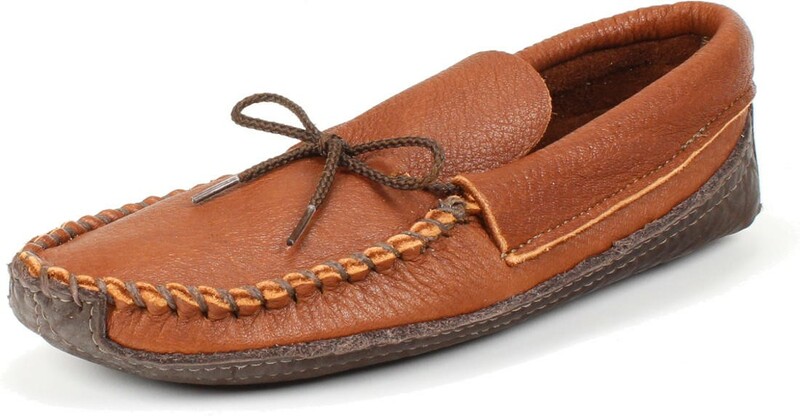 We've named this color combination "Whiskey Junction" and it's a part of our "Select" line of men's Cota moccasins. 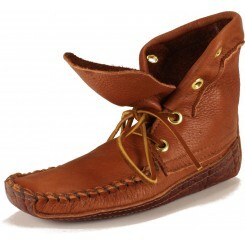 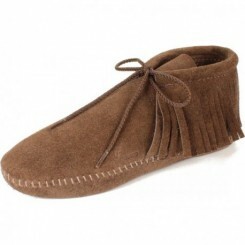 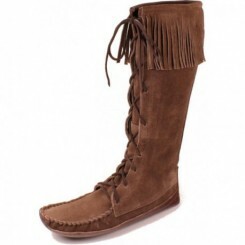 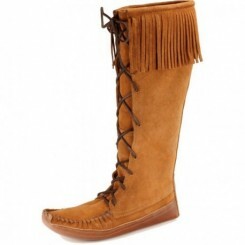 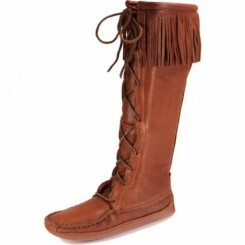 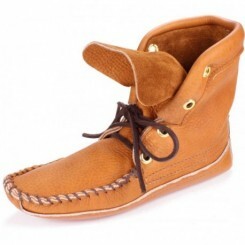 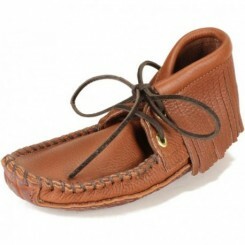 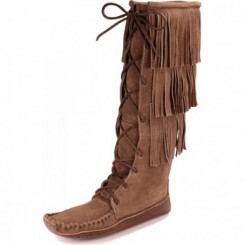 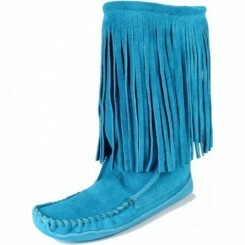 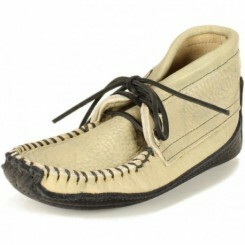 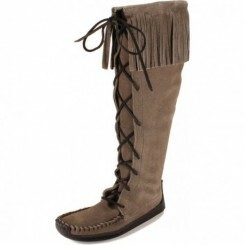 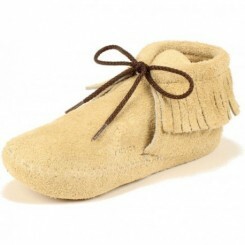 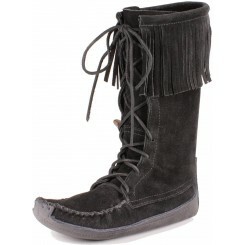 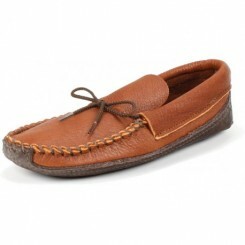 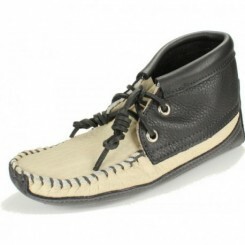 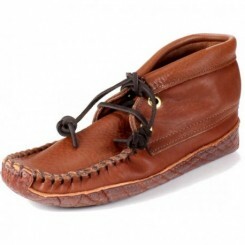 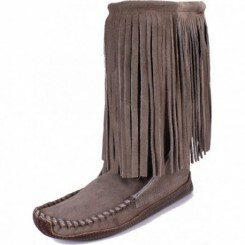 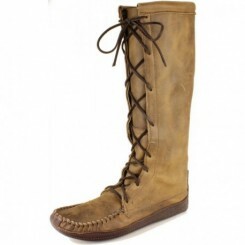 It's a slightly lighter version of our brown buffalo and brown elk moccasin which has been our all-time best seller. 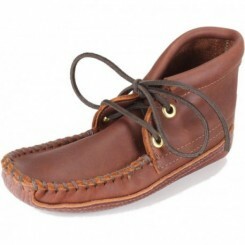 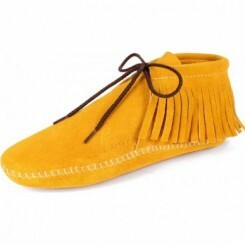 This canoe-style moccasin is a classic and it's great for year-round use in warmer climates and perfect for spring/summer/fall use in northern climates.